Trick or… Turtles?! Presenting an all-new Halloween edition of the IDW Publishing debut of the Teenage Mutant Ninja Turtles! 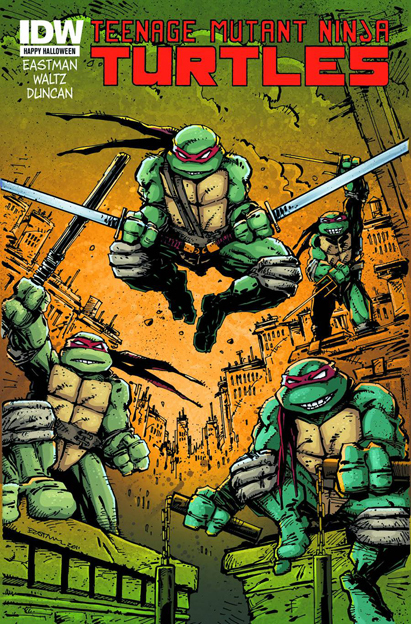 Featuring a cast of familiar characters — Master Splinter, April O’Neill, Casey Jones, and more — and true to the spirit of the original comics created by Kevin Eastman and Peter Laird, the TMNT are bigger and badder than ever — and here’s where it started!